A selection from East Malling (England). The rootstock grows very strongly and steeply and thus has a delayed fertility; it is well tolerated with all sweet and sour cherries. It prefers deep and cool soils. This clone was bred in East Malling by crossing Prunus avium x Prunus pseudocerasus. It promises a growth reduction of approx. 20% compared to F 12/1 and brings earlier and higher yields. It also has shallow roots and is particularly suitable for moist, deep and lime-poor soils. Sensitive to drought and winter frost. It is a vigorous and healthy selection from the French research institute La Grand Ferrade. Due to its pseudo-taproot, SL 64 is characterised above all by its resistance to drought and chlorosis, but is unsuitable for heavy soils. The tree grows slightly weaker than F 12/1. The name Maxma is derived from the crossroads Mazzard x Mahaleb (rowan berry x Steinweichsel). It comes from Lyle Brooks from the USA and is marketed by the French nursery Delbard. It grows about 60% of F 12/1, has no special soil requirements and produces early, high yields with excellent fruit quality. In our tests, Maxma 14 is the most efficient rootstock for sweet cherries on light soils or sour cherries. 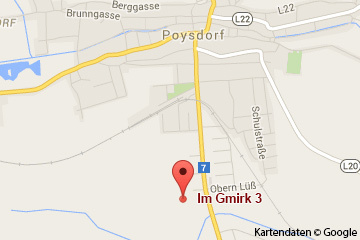 This name is used for the growth-reducing rootstocks selected by Prof. Gruppe and Schmid in Giessen. This is a cross of P. cerasus c P. canescens. The tree promotes very early fertility, has considerable adaptability to the different soil types, is stable from the 4th year, frost hardy, supports a horizontal branch position and does not make root suckers. In recent years, Gisela 5 has proven itself best for spindle cultivation in commercial fruit growing and for small trees in the home garden, both in yield and fruit quality for sweet cherries. grows somewhat more vigorously than Gisela 5 and is especially appropriate on lighter soils or in the southern growing areas. GiSelA® 3 grows weaker than Gisela 5 and can be advantageous on very vigorous soils in areas with high precipitation, with very intensive cultivation systems and roofing or above all with very rotten varieties. It tolerates dry soils better than GiSelA® 5, but is more fertile than MaxMa® 14 Piku 1® is recommended for light soils or for very rich-bearing varieties, where the fruit size on GiSelA® 5 is already too small.